Welcome to Matrix Insurance Group! Here at Matrix Insurance, we are a leading West Australian insurance broker based in Perth offering insurance solutions for small to medium sized businesses throughout the state and right across Australia. As a reputable Perth insurance broker, we have access to over 120 different insurers and underwriters, allowing more choice for our clients and the ability to place distressed or unusual businesses where others can’t. We genuinely care about our clients and offer a personal service built on trust and respect. This type of value is what makes Matrix Insurance one of the leading Perth insurance brokers- we care about you and your business! Be real. Be open. Be responsible. Thanks mate, it’s been a pleasure dealing with you so far. We appreciate the effort and attention to detail. Thank you so much for your fast reaction to my urgency. Your actions assisted the credibility of my business at this time. This is true customer service that demonstrates a genuine care to your clients. Because of this action you can be assured you have my return business and recommendations to my business colleagues. Thanks so much for doing all the foot work and finding out what we actually need. The best advise we have been given in a long time. Congratulations on a terrific job. What separates Oliver from most brokers is that he “gets” our business, he never sells, he goes the extra mile and further for us, he works to reduce our premiums, not increase them and will recommend alternatives that are relevant to our needs and discourage what is not, even if, it may not benefit him. 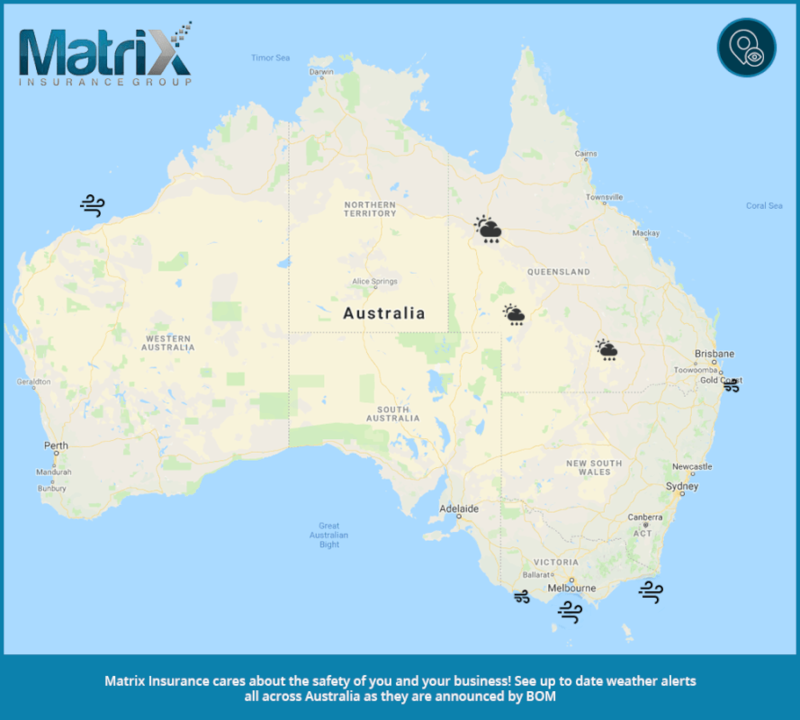 I have been using Matrix Insurance for many years now and I am extremely pleased with not only the personal service that I receive but also the price of the insurance coverage that Matrix has been able to obtain for my 3 businesses. My premiums have come down dramatically. I am delighted that I changed to Matrix Insurance. By taking the time to understand our business and the industry in which we operate, the team at Matrix were able to secure the right cover for the best price. I would like to thank you for all the support and advice you have given us, making this journey much easier. The comprehensive options you bring to the table help us to make logical decisions in this area. Even being in a small country town in Tasmania is not a problem for Matrix Insurance. We had to make a motor vehicle claim and our vehicle was removed the same day and payment within 2 weeks! Thank you Matrix Insurance for providing a hassle free claims service. Matrix Insurance have always been able to show us the best insurance companies to meet our needs at the best price points. Oliver Whittingham and his team have always been very responsive when we have needed to process a claim and have supported the best outcome for us. Matrix Insurance has been looking after our business needs since day one. Nik has been diligent in seeking the best options for our company’s needs and has been prompt and reliable on all occasions. I would highly recommend Matrix to any company seeking a quality Insurance Broker for their insurance requirements. New Hotel & Pub Website is launched! Cyber Liability – Are you Protected?